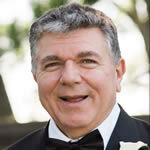 Richard Michael Dallessio, 60, a member of Local 802 since 1987, died on May 1. Mr. Dallessio served as associate principal oboe and English horn with the New York City Ballet Orchestra, and also performed with the Metropolitan Opera Orchestra. He grew up in Somerville, New Jersey, where he attended Immaculata High School, and was a member of the New Jersey All State Orchestra. Mr. Dallessio graduated with honors from the New England Conservatory of Music, which awarded him the Chadwick Medal. 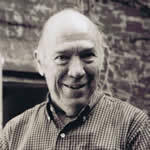 Mr. Dallessio was considered a skilled educator; many of his students from Juilliard and Mannes found success in music. Mr. Dallessio is survived by his husband Kenneth, brother Jerry, sister Patricia, nieces Joy and Tatiana, his aunt Jean, and cousins Angela and Laura. The family suggests donations in Mr. Dallessio’s memory to www.GardenStateEquality.org. Obituary edited from www.BradleyFuneralHomes.com. 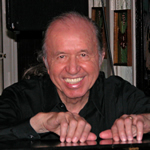 Bob Dorough, 94, the songwriter, pianist, arranger, clarinetist, saxophonist and vocalist, died on April 23. He had been a member of Local 802 since 1949. Mr. Dorough served in the Army Band for three years before earning his degree from the University of North Texas. He then moved to NYC, where he recorded his own album as a bandleader as well as two vocal tracks with Miles Davis: “Nothing Like You” and “Blue Xmas,” both of which he composed. (Miles himself recorded an instrumental version of Mr. Dorough’s song, “Devil May Care.”) In 1971, Mr. Dorough received a commission to “set the multiplication tables to music.” This led to the beginning of the famous “Schoolhouse Rock” series, where Mr. Dorough first served as music director and ended up writing many of the classic songs, including “Conjunction Junction.” In his career, Mr. Dorough also collaborated with Blossom Dearie, Hoagy Carmichael, Dave Frishberg, the Fugs, Spanky and Our Gang, and Art Garfunkel. Later, Mr. Dorough recorded three CDs for Blue Note. His awards include the Pennsylvania Governor’s Artist of the Year Award and an honor from the Arkansas Jazz Hall of Fame. In 2002, his trio was chosen to represent the State Department as a musical ambassador, which led to a one-month world tour. Mr. Dorough was still actively performing even at age 94; he played earlier this spring at the Deer Head Inn in Pennsylvania. He is survived by his wife Sally, daughter Aralee, brother Gregory and a grandson. Obituary information from Mr. Dorough’s official biography www.BobDorough.com with additional information from the New York Times. 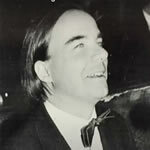 Brooks Kerr, 66, a jazz pianist and a member of Local 802 for over 30 years, died on April 28. Mr. Kerr was 5 years old when he first met Duke Ellington, which began a musical relationship that would last until Mr. Ellington’s death. Mr. Kerr became an expert on Mr. Ellington’s music, taught courses with Mr. Ellington, and even toured with him while still a teenager. In fact, Mr. Ellington would allow Mr. Kerr to sit in for him when he was ill. In 1969, Mr. Kerr performed in a birthday concert for Mr. Ellington at the White House. Mr. Kerr later formed a trio with two Ellington alumni – Russell Procope and Sonny Greer. A child prodigy, Mr. Kerr was mentored by Willie (the Lion) Smith. He later earned his degree at Juilliard, which he accomplished in just one year. From a young age, Mr. Kerr suffered from a degenerative retinal disease that made him blind in one eye and only partially sighted in the other. By the time he was 28, he was totally blind. Mr. Kerr recorded several albums as a leader and participated in tribute projects devoted to Duke Ellington that featured former members of Mr. Ellington’s crew, such as Ray Nance and Francis Williams. Mr. Kerr is survived by his partner Charlotte and half siblings Claudia, John, Philip and Alexander. Obituary information from the New York Times and Wikipedia. Howard Louis Williams, 89, a pianist and an arranger, died on April 24. He had been a member of Local 802 since 1957. Born in Alton, Illinois, Mr. Williams grew up in Little Rock, Arkansas, where he learned trumpet and piano and began writing arrangements for his USO-sponsored band while still in high school. Bandmembers became lifelong friends, including Walter Norris, Bitsy Mullins, Dale Hampton and Van Hughes. Mr. Williams later attended Louisiana State University and served a stint with the Air Force Band in the early 1950s. After a few years on the road with Hal McIntyre and Jimmy Ford, Mr. Williams settled in New York, taking classes at the New School and playing with Woody Herman, Charlie Barnet and Billy Butterfield. Mr. Williams can be seen in the documentary “The Jazz Loft Project,” about the vibrant 1950s jazz scene in Manhattan’s Flower District. Mr. Williams also played on the 1958 John Coltrane/ Wilbur Harden album “Tanganyika Strut.” He met his future wife Joanne Wiseman in the early 1960s, and they were married in 1976, later dividing their time between New York and the Atlantic City area, where they purchased a second home. After Joanne’s death in 1991, Mr. Williams continued freelancing on piano and writing charts, which he performed on Monday nights with his jazz orchestra at The Garage in the West Village. He also began working at Local 802 in the Recording Department, a job that lasted for over 20 years. Mr. Williams is survived by his brother-in-law Roy, Roy’s wife Lisa, and their sons Thomas, Christopher and Samuel. For more on Mr. Williams’ life, see our 2013 Allegro interview: www.local802afm.org/allegro/articles/the-team-player.